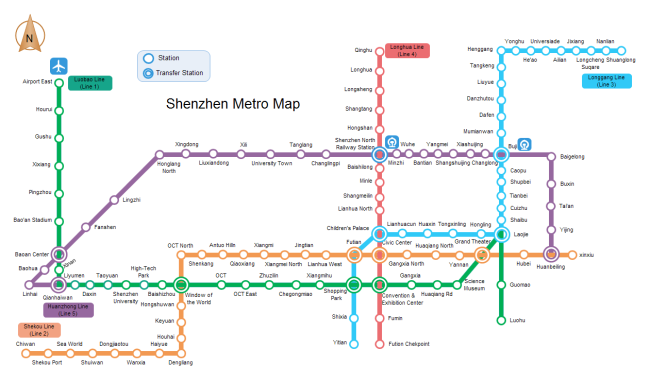 Description: A free vector Shenzhen metro map template in English. It is available for download, editing and print. Quickly get a head-start when creating metro map with predefined subway symbols.